Cozy up with Aunt Bee’s 5-Minute Crab Bisque — a rich, creamy, and flavorful soup that’s perfect for a special lunch or an easy family dinner! Does 5 minutes sound like all of the time that you have to prepare a meal some nights? By adding a salad and some crusty bread, you can have an entire dinner ready to go in a total of just 15 minutes! I’m telling you — Aunt Bee is a genius! You guys know that my great Aunt Bee holds a special place in my heart. Even though she’s in her nineties, you would never know it. We still manage to correspond regularly via both email and handwritten notes, she spoils my boys with goodies constantly, and she’s kind enough to share her delicious recipes with all of YOU on a regular basis. 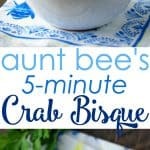 This crab bisque is the latest gem from Aunt Bee’s collection and it’s definitely a keeper! My parents were in South Carolina a couple of months ago, so they made a quick side trip to North Carolina to visit Aunt Bee while they were nearby. Aunt Bee doesn’t do a lot of elaborate cooking at home anymore, but she is always the ultimate hostess. She pulled together a delicious lunch for my Mom and Dad, which included bowls of this southern favorite — Crab Bisque. My mom made sure to request the recipe on my behalf, and a few days later Aunt Bee’s handwritten note arrived in my mailbox. She’s not only a master of quick-prep entertaining, but Aunt Bee is also very efficient outside of the kitchen! I hope that you enjoy this simple meal as much as our family has! Note: Aunt Bee says that you can serve this Crab Bisque hot or cold (depending on the season). She also suggests replacing the crab meat with an equal amount of cooked shrimp or cooked salmon if you’re looking for a more affordable option. You could also use a combination of crab, shrimp, and fish and call it a “Seafood Bisque.” Whatever your preference, I can assure you that the end result will be delicious! 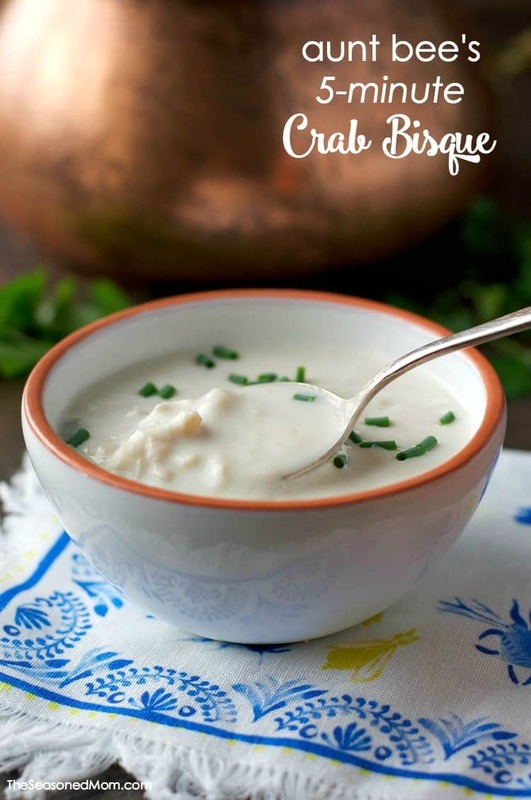 If you’ve tried this 5-Minute Crab Bisque or any other recipe on The Seasoned Mom then don’t forget to rate the recipe and leave me a comment below! You can also follow me on Facebook, Twitter, Instagram and Pinterest to see what I’m getting up to. 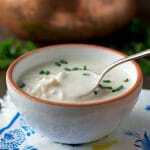 In a large pot, whisk together soups, milk, cream and wine. Bring to a simmer (do not boil), stir in the crab, and heat through. 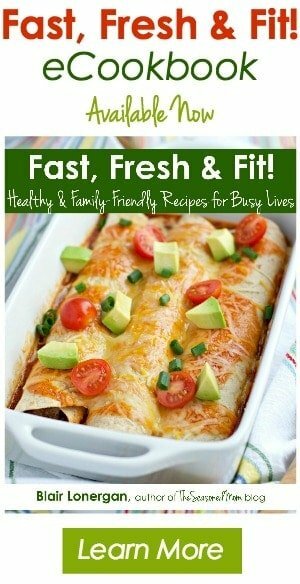 If you love quick-prep recipes, be sure to check out my cookbook Fast, Fresh & Fit! It’s full of our family’s favorite easy options for breakfast, lunch and dinner. Learn more HERE! Your Aunt Bee makes the best recipes! I love that you share all of them, Blair. Such special meanings, and deliciousness, too. And I’m in awe of how easy this is! I can definitely use more simple dinners, so I’m definitely pinning this one. Sounds delicious! Love Aunt Bee’s recipes, Blair! How lucky you are to have her in your life to share her culinary and life skills – a treasure. This looks delicious and I’m very glad I’m about to eat dinner because now I’m starving! I always love your Aunt Bee’s recipes! Whenever I see one with that label, I know I’m going to like it. She sounds so dear! It’s amazing that you guys email too – I wish I could get my Gma to figure out a computer. Haha! This looks absolutely wonderful – and that’s coming from someone who doesn’t even eat seafood. Lol!! My S.O. would LOVE this, and he likes to cook, so I’ll share the recipe with him! This looks AMAZING! And so so easy to make too! How lucky you are to have your Aunt Bee with all these delicious recipes! This looks so comforting! 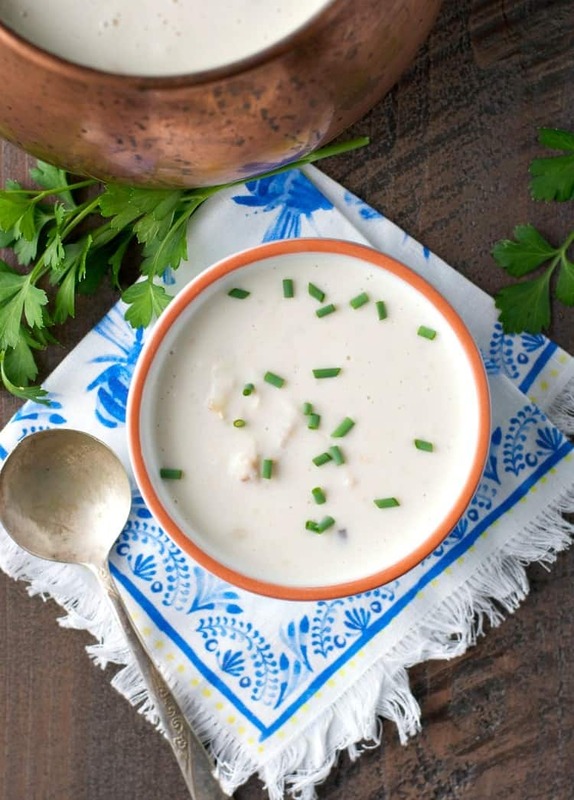 Love the idea of using crab and shrimp for a seafood bisque! Thanks, Krystle! It’s total comfort food! 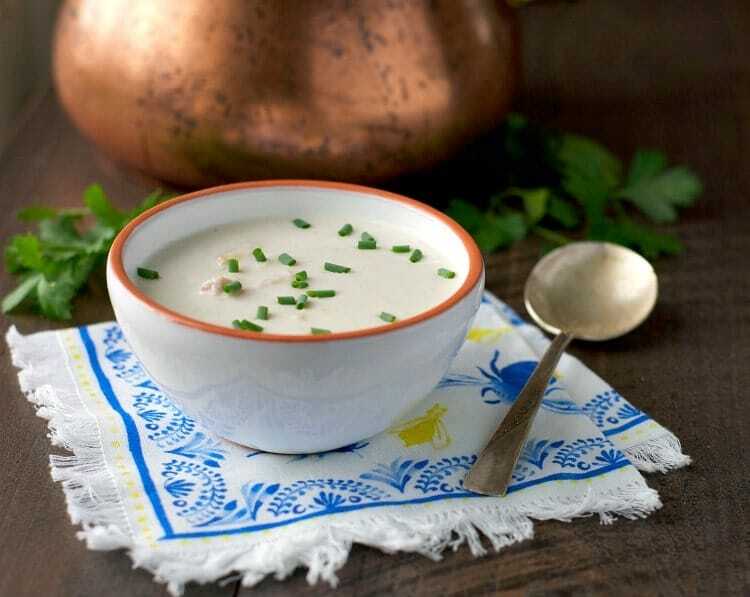 My kids do not like mushroom so on this recipe would I replace the condensed mushroom soup with another can of cream of celery soup or do you have another recommendation ?